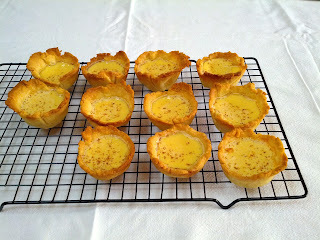 I tried the custard tarts again, doing things slightly differently. Last time I rolled the dough out and cut the 12 pieces out to put in the tin. I tried a circle but the largest cutter I had was too small so I switched to squares. 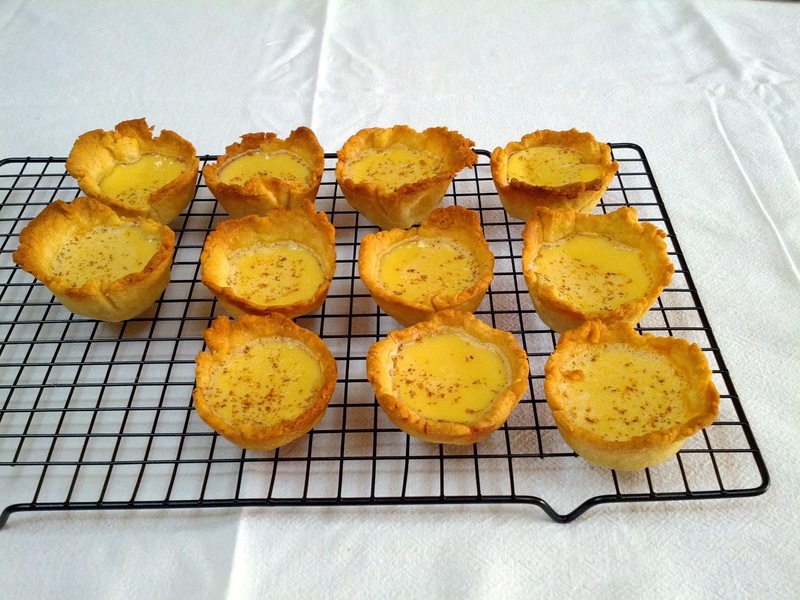 That resulted in lots of pointy, burnt corners and an ultimately shallow tart which didn't allow for enough custard. I also reduced the blind baking time to 10+10 minutes. The dough was well-baked and not burnt. Much nicer.